There will always be people who’d go breaking rules no matter if it poses danger to themselves and/or others. For even at UK, with The Dronecode set in place by the Civil Aviation Authority (CAA), requiring drone users to be mindful of the safety rules and use common sense as well, some drone flyers test their limits, as what happened recently during a live band concert. 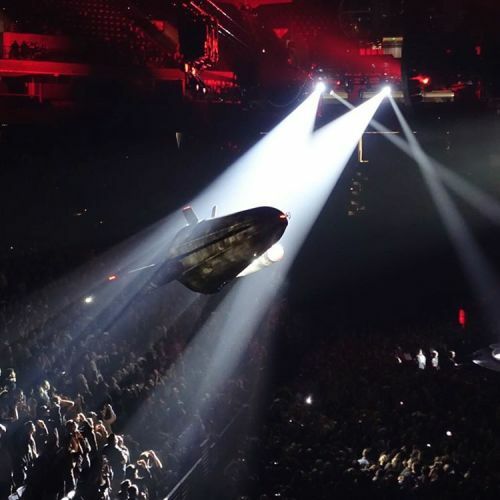 One report said a gig by the rock group Muse was disrupted by a technical mishap when a drone began falling to the ground while the band was on stage. Gizmondo said in its report that Muse has recently shown a particular interest in drones, despite the dangers the aircraft often present. Celebrity or not, anyone who wishes to fly a drone should exercise utmost caution and restraint. No publicity stunt is ever worth the risk of hurting or endangering people’s lives. Because of their stature, and influence, celebrities should all the more observe the use of their drones in a safe, responsible manner in accordance with the aviation authority’s rules and regulations. Flying a drone is indeed fun and creative, especially for aerial photography services, but safety and security concerns take prime consideration over anything else in order to avoid needless damage, injuries and loss of lives.